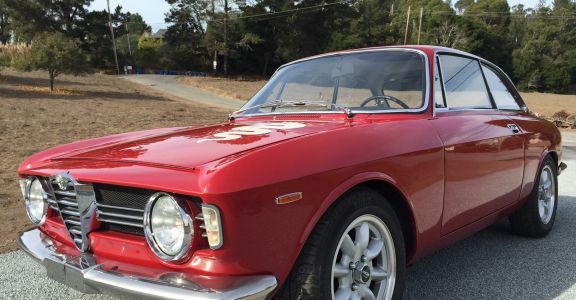 We are excited to offer on behalf of one of our clients this outstanding Alfa Romeo GTV. Imported from Turin, Italy a few years back and completely restored to a very high standard. The engine, transmission and carburetors were rebuilt and the car runs very nicely and shifts smoothly throughout all gears. The entirety of the electrical system has been gone through and is fully functional including all lights and gauges. The interior was refreshed where necessary and presents itself well. The paint was done to a very high standard and it has been meticulously cared for since. The car has been lightly driven since restoration and shows only very minor evidence of use. The paint has a few very minor flaws, although no dings or dents. The floors appear to be completely original, although there may have been some patching done years ago. A few tasteful performance modifications were performed at the time of restoration to make for a more spirited driving experience including: Koni sport suspension, relocated battery, Panasport 15” alloy wheels, Pirelli P6000 Tires (195R15) and an exhaust header. Otherwise, the car is completely stock and feels tight all around. A beautiful Alfa Romeo and one of the most sought after models.